Come join us for the tastiest 5k of the year benefiting Teachers' Treasures! The Circle City Donut Dash 5K presented by the American College of Education is a run/walk event with 2 different types of races. The premier event is the Donut Challenge, a 5k where participants must consume a dozen delicious donuts at the halfway point! We also have a non-donut 5k for the less ambitious runners out there, but don't worry, you can still eat donuts post-race! Check out this awesome video from WISHTV on the race! Donut Challenge- Not your typical 5K! Participants take on the challenge of consuming a dozen Jack's Donut holes halfway, before racing back to the finish. - This year all donuts in the challenge will be donut holes from Jack's Donuts Downtown. Non-Donut Challenge- Make the 5K run/walk as competitive or fun as you like! Donut worry, there will be plenty of donuts to enjoy before and after the race. There will be a shuttle continuously running from the parking lot to Teachers' Treasures. However it is only approximately 2 blocks if you would like to get in a little warm up! - There will also be parking at Teachers' Treasures but we expect this to fill up very quickly. If you plan on coming after 7:30 a.m. please just head to Arsenal Tech because this parking lot will most likely be full. - In addition to regular brews they will create a unique coffee flavored beer for the race! *Sign up by February 16th to be guaranteed an event t-shirt. We will order extras but you are not guaranteed a shirt if you are not registered by the 16th. - Children 7 & under can run/walk with their parents free of charge in the Non-donut 5k but they will not be timed or receive any race materials. 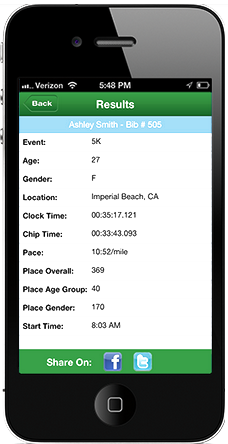 If you would like for your child to be timed or receive race materials they must be registered for the event. All participants must wear their bib# on the front of their bodies on their outermost layer of clothing in order to be properly timed. If you do not wear your bib# properly we cannot guarantee that you will be properly timed. - The award ceremony will take place in the large white tent outside of Teachers' Treasures at 10:30 a.m.
What are the Donut Challenge Rules? - You have 45 minutes from the race start to consume all of your donuts. The donut station will close down at 9:45 a.m. So be sure you have arrived at the 1/2 way point and have eaten all your donuts by that time! - If you consume all 12 donut holes you must make sure a volunteer checks the donut challenge completed check box on your bib#. No check no award eligibility! The race will start and finish in the Teachers' Treasure's parking lot. The course will be flat and fast, wrapping through local neighborhoods before jumping onto Pogues Run Trail and into Pogues Run Park where the Donut Station will be set up. After completing the donut challenge you will then proceed back to the finish line at Teachers' Treasures. If you are not doing the challenge you will run by the station. Join us afterwards for a post-race party and awards at Teachers' Treasures! Head down the street to neighborhood restaurant, Tick-Tock, for special lunch deals for participants. - Race Day Packet Pickup & Registration - 7:00 a.m. - 8:30 a.m.
- Donut Challenge Race Start - 9:00 a.m.
- Non-Donut 5k Race Start - 9:05 a.m.
- Post-Race Party Starts - 9:30 a.m.
- Donut Challenge Donut Station Closes - 9:45 a.m.
- Post-Race Awards - 10:30 a.m.
- Post-Race Party Ends - 11:30 a.m.
Register early to avoid price increases! $40 - Friday / Race Day - If you bring a school supplies item on race day you will receive the $35 entry fee. 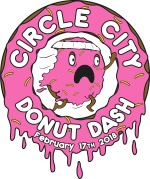 All participants will receive a sweet Circle City Donut Dash Challenge shirt, a cool custom bib#, post-race awards, and a post-race party at Teachers' Treasures! Packet Pick-up and Race Day registration will be open from 7:00 a.m. - 8:30 a.m. on race day. All Teachers will receive a free additional shopping trip at Teachers' Treasures when they sign up to participate. You will pick up this free shopping trip at ACE's booth in the tent. This event raises funds for Teachers' Treasures there will be no refunds if the race must be canceled due to inclement weather. We will hold the race as long as conditions do not make holding it dangerous to competitors. If the race is canceled you can still pick up your race packet at Teachers' Treasures. Teachers' Treasures is a not-for-profit that obtains and distributes school supplies free to teachers of students in need. More than 270 schools with a total of over 100,000 students meet this criteria. Nearly 3,000 teachers participate in the program annually. Since our beginning in 2000, we have given away over $44 million in school supplies.